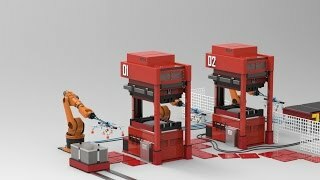 piSMART® vacuum technology takes automakers a step closer to Industry 4.0 factories. Taby, Sweden – The introduction of piSMART® versions of Piab's high-end vacuum ejector products is giving automotive manufacturers a roadmap towards the realisation and implementation of intelligent and cloud-connected Industry 4.0-ready production lines. Starting with piCOMPACT®, the company's premium all-in-one vacuum ejector series, already available with the generic and fieldbus-independent IO-Link, Piab is equipping its products for the smart, productive and energy-efficient factories of the future. Through the collection and analysis of large amounts of production data and access to enormous amounts of cloud-based data, a piSMART® vacuum ejector will offer a new level of process control. "Big data" analysis tools utilising piSMART® will be available to support operators. The press shop is one example of where such novel tools can make a profound difference. Establishing the foundation for auto industry productivity, throughput rates or stamps per minute (SPM) are continuing to increase in stamping plants. Strategically placed smart sensors with internet connectivity can communicate, for instance, SPM data in real-time in order to predict and prevent machine or component failure, ensuring that the equipment is always running at optimal speed. Building on other advanced equipment features already implemented by Piab, such as Automatic Level Determination (ALD), Automatic Condition Monitoring (ACM), Intelligent Blow-Off (IBO), Self-Adhesion Control (SAC) and Energy Saving (ES), further cloud-based analysis tools will become available to underpin smarter and more efficient production lines in automotive plants. 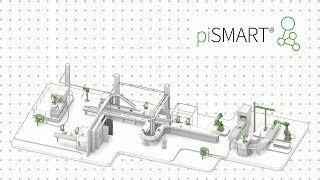 Auto tuning, condition monitoring, predictive maintenance, simulations and real-time adjustments are some of the support functions made possible through piSMART®, drawing up a roadmap towards Industry 4.0.